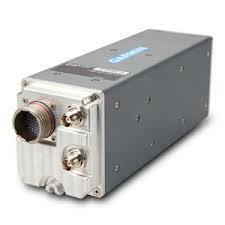 New Low-Cost Addition to Radar Altimeter Product Line | Avionics Blog – Avionics to the Max! This comprehensive radar altimeter solution expands upon Garmin’s high-performance, all digital GRA 5500 radar altimeter to include the GRA 55, a best-in-class and cost-effective radar altimeter designed specifically for helicopters and general aviation aircraft. The GRA 55 leverages Garmin’s patent-pending digital signal processing technology that works to provide smooth altitude tracking and results in a consistent and highly accurate above ground level indication, even in the most challenging environments such as rough terrain, tree canopies, sand and choppy water. The solution also includes the new GI 205 stand-alone indicator, designed to pair with the GRA 55 or GRA 5500, which provides a comprehensive, stand-alone radar altimeter solution. These two new products meet the latest design standards and ultimately provide pilots with rock-solid confidence of their altitude above ground. In addition to helping owners and operators meet recent FAA requirements for radar altimeter equipage in commercial helicopter operations, the GRA 55 meets the most rigorous altitude accuracy requirements, only previously seen in products for transport and military aircraft. And together, the GRA 55 and GI 205 help fulfill recent FAA requirements for radar altimeter equipage in commercial helicopter operations. Patent-pending technology in the GRA 55 incorporates built-in self-test monitors that continuously cross check the data and system integrity, assuring the pilot of an accurate measurement of the height above ground, even over challenging ground conditions. This technology also provides for a simpler installation, with easy calibration, and eliminates the requirement for long antenna cables that are traditionally required for the installation of radar altimeters. The GI 205 stand-alone indicator features a vibrant OLED display with full 180-degree viewing angle, allowing radar altimeter indications to be seen easily in all types of flight conditions, day or night. Visual and audible alerts are available to ensure all altitude indications are clearly presented in-flight. Pilot-selectable decision height (DH) is easy to select using a knob, and upon arrival at the DH, a “minimums, minimums” voice callout or traditional audible tone is available. Adding to situational awareness, an intuitive graphical trend indicator displays vertical velocity information, so that altitude trend can be monitored at a glance and corrections can be made promptly to avoid inadvertent climbs or descents. For Part 135 helicopter operators, the GRA 55 fulfills the radar altimeter equipage requirement recently established by the FAA, and the GRA 55 paired with the GI 205 provides the best-in-class solution to meet these new requirements. Coupled with the GI 205 stand-alone indicator, operators can incorporate a complete, cost effective radar altimeter solution into their flight decks without the need to purchase an entire flight display system. 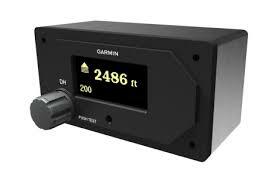 Call our team for more information on the new Radar Altimeter! This entry was posted in Latest & Greatest Avionics and tagged aircraft, autopilot systems, Aviation, avionics facility, efis, FAA, garmin, GI 205, GPS, GRA 55 Radar Altimeter, GRA5500, GTN, Helicopter, Maxcraft Avionics, OLED, radar, radar altimeter, situational awareness, tcas. Bookmark the permalink.